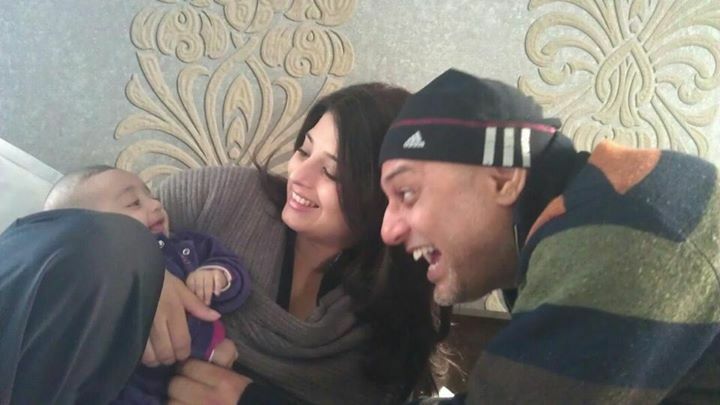 Just one year after his first daughter Ella Azmat came to this world, the stork has paid Ali Azmat another visit! Pakistan’s very own living legend of rock music, Ali, has been blessed with another baby girl. Ali tied the knot with television producer Fariha Khan Chapra in September 2011. The couple welcomed their first child in September 2012. The couple have named their daughter Mia, which means mine in Italian, and beloved in Slavic. The rock-star announced his second daughter, Mia’s birth on Twitter. “Announcing the arrival of our daughter Mia Ali Azmat, she is a little bundle of joy.